The future of looking younger is here, and now thanks to Silhouette Soft you can have a face lift without the surgery. Thread lifts are the latest anti-ageing advancement offering women and men what no treatment has ever provided: a non-surgical face lift that reshapes the face and restores volume. It can raise the brows, elevate the cheeks, jowls and neck, as well as soften nasolabial folds. Facial tissue is re-positioned and lifted by means of delicately and accurately placed resorbable sutures (threads). Once in place, Dr Candler applies just the right amount of tension to them in order to achieve instant lifting effects. During the following 3 - 6 months new collagen will form around the threads to give on-going rejuvenation and volume. This treatment leaves no scars and can be used successfully on all areas of the neck and face giving a refreshed, younger look. Thread lifts are one of the best treatment options for the jowl area, helping to restore more youthful contour lines. Unlike invasive surgical face lifts, recovery time is minimal so you can get back to doing what you love. Results are long lasting and natural. During a Silhouette Soft thread lift procedure the Doctor uses a needle to loop and place specialised sutures (threads) under the skin where they can be manipulated to discretely raise the tissue (lift). Multiple threads are laid down in an orderly pattern to allow for subtle contouring of the face. 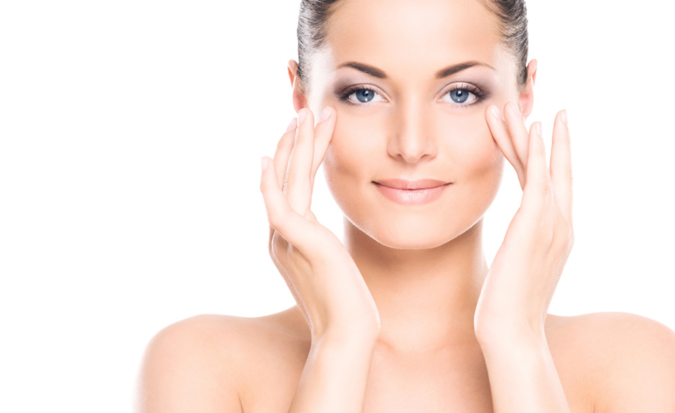 Over time regenerating effects will begin as the deeper layers of the skin absorb the threads and produce collagen. This action, which continues over time, increases volume of saggy areas and restores shapeliness to the face. Silhouette Soft threads are biocompatible and able to be fully reabsorbed. Poly L-lactic acid, or PLLA, has been used for many years in various pharmaceutical and medical applications, such as suture thread, orthopaedic pins, screws and nails for bone fractures, etc. Because there are only small openings in the skin, there is little chance of scarring making Thread Lift very safe. We allow about an hour for the treatment following a thorough consultation. No, Dr Candler will inject a local anaesthetic so you won’t feel any pain while the sutures are inserted. After the treatment slight swelling or bruising may occur. Sometimes, a slight depression or skin irregularity may appear at the needle entry points. These inconveniences disappear a few days after the treatment. One of our trained team members will explain the aftercare instructions to you and we invite you back to the clinic for a check-up 2 weeks later. The price varies due to the amount of threads used. Dr Candler will discuss all costs before treatment commences.